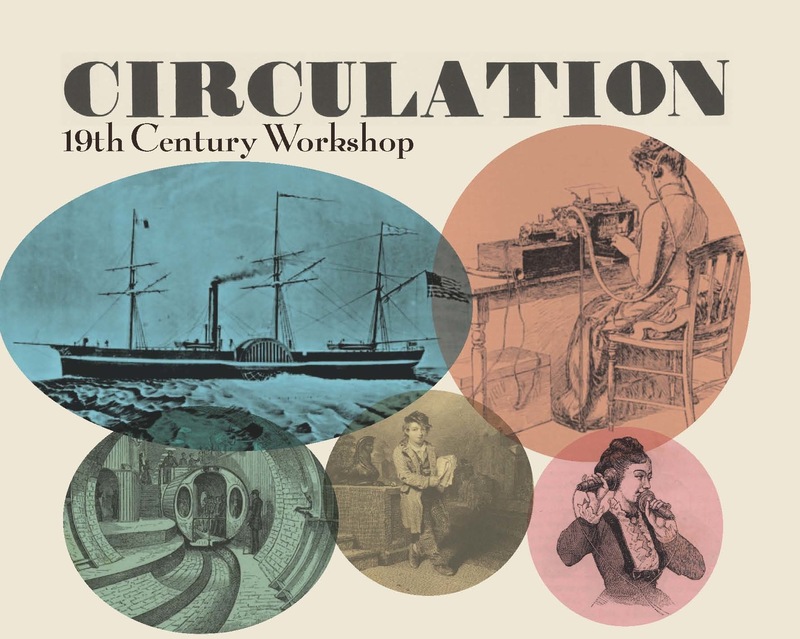 2014-15 will inaugurate what we hope will be an annual “19thC Workshop” at Rutgers, an event modeled on Indiana University’s marvelous, longstanding “18thC Workshop.” Over the course of a day and a half (October 2-3), an interdisciplinary group of faculty and students will discuss eight papers that examine how the movement of commodities, capital, and human bodies was governed, promoted, and understood. Lisa Gitelman will give the keynote lecture on Thurs. Oct. 2 at 5:00 pm. ; Carolyn Williams will interview Ruth Bernard Yeazell on Fri. Oct. 3 at 1:15 pm. Spaces in the workshop are limited, but all are welcome to attend. Register via the Center for Cultural Analysis website.